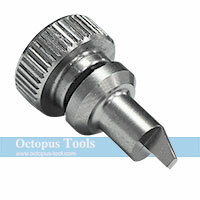 ◆ This Watch Back Case Opener is watchmakers' perfect tool. 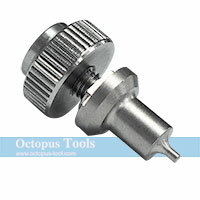 ◆ This Watch Back Case Adjustable Opener is watchmakers' perfect tool. 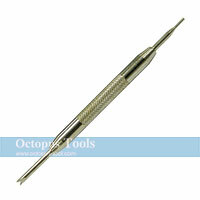 ◆ With this removal tool, you can easily fit and remove spring bars from watch strap and band. ◆ Easy to operate with adjustable locations of both jaws and can open different size of watch case. 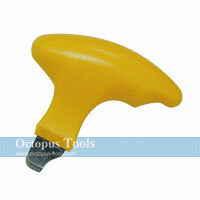 ◆ Flat tip clamp, for waterproof and also for luxurious watch back covers. 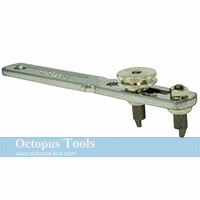 ◆ This flat-tip clamp set can be used to replace the original clamps on the watch opener. ◆ This set includes one tip and one nut. 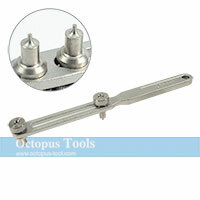 ◆ Round clamp, for rarely-seen two holes type of watch back case. ◆ This round clamp set can be used to replace the original clamps on the watch opener.